On Wednesday afternoon, I was lucky enough to be in the Leesburg, VA area on a day trip with my family, and had some time to check out a field I’d never been to: Ball’s Bluff. The battle itself was a fairly small action as Civil War battles go, but is more significant because of who was there and what happened to them. One of the men killed was Col. (and Senator) Edward D. Baker – the only U.S. Senator to be killed in combat – and his death prompted his friends in Congress to take a heavier interest in the war effort, leading directly to the creation of the Joint Committee on the Conduct of the War. The park that encompasses the battlefield (well, most of it anyway) is owned by the Northern Virginia Regional Parks Authority, and is well-maintained. There is also heavy volunteer involvement, with free tours being run on the weekend during the warmer months, and plentiful maps and brochures available at the parking lot. You can tell that the local Civil War nerds take great pride in this place. It is small, but very well marked with monuments and waysides. There is a network of trails leading visitors through the phases of the battle and key terrain features. It’s really nice. 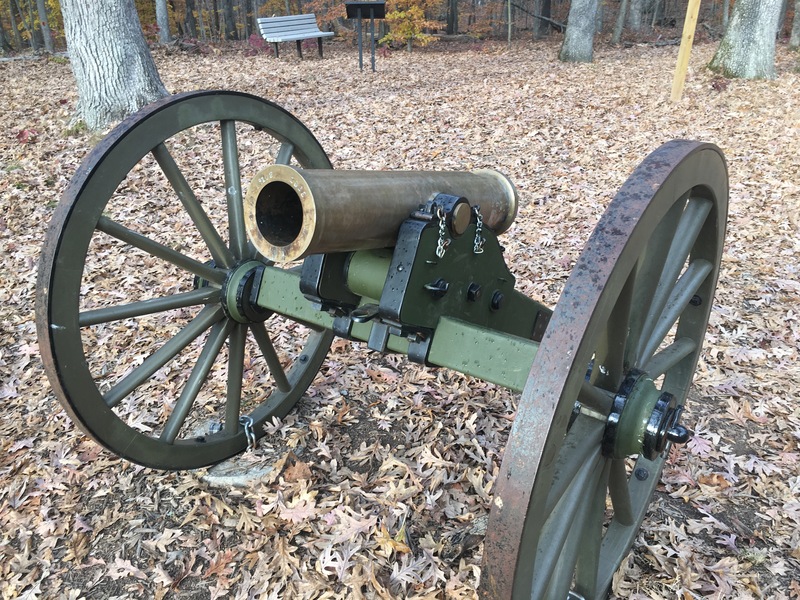 Among the commemorative features are representations of the three artillery pieces that the Union army brought to the field from across the river. Two of those three are reproductions, but there is an actual Mountain Howitzer there as well – I had never seen one in person and was pretty excited about it. An actual Ames Manufacturing Co. Mountain Howitzer on the field at Ball’s Bluff. 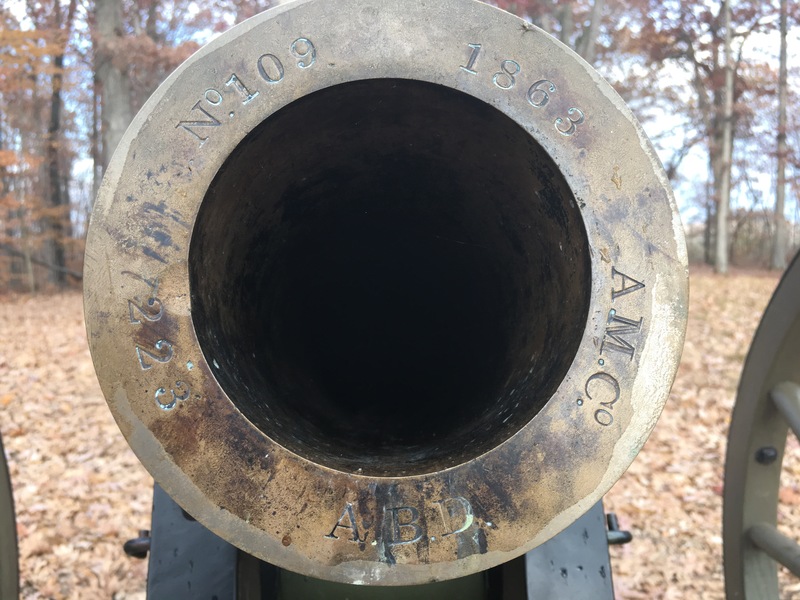 The muzzle markings on the Mountain Howitzer at Ball’s Bluff. So clearly this weapon could not have been present for the actual battle in the fall of 1861, but it was nice to see it stand-in. Hazlett’s Field Artillery Weapons of the Civil War has this serial number listed as being owned by Kennesaw Mountain NBP in Georgia, so I assume it is here on loan. Very nice of the National Park Service to do that if that’s the case. If you’re in the area, it’s definitely worth a visit. The hiking trails are nice, and if you’re at all interested in the history, you can’t beat actually being on the field. I can tell you that I’d be pretty uncomfortable with my back against that bluff and a few regiments of Confederates bearing down on me!